Navigate the twisted mansion through the eyes of our young heroine. "The first thing that struck my about this game is the style. It is dark but fun, similar to something along the lines of A Nightmare Before Christmas. This great atmosphere makes it initially very easy to get into the game. After that, the cleverness of the puzzles take over. The game design is truly unique. I have never seen another game use this room style mechanic. You have to get your character to the exit of whichever puzzle you are currently playing. The game introduces new mechanics at a perfect pace so that it never feels overwhelming or complicated. I highly recommend this game to anyone that likes solving puzzles." Set in a fairy tale-like world full of magical objects and spooky stories, you take on the role of an innocent little girl, Anne, who was accidentally trapped in the mansion. As the story unfolds, you must navigate the dark legend of the twisted mansion. The puzzling world is divided into four themes, each including basement levels where Anne can use her special abilities such as teleportation, placing bombs, and moving all the rooms at once. 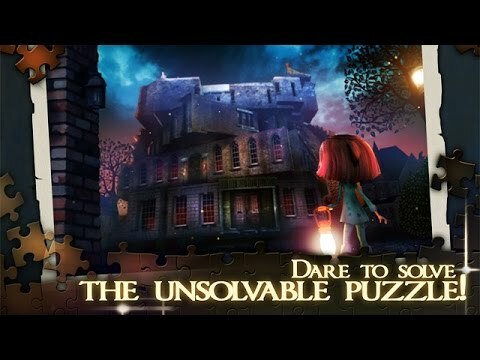 With 144 baffling levels, four beautifully crafted mansion themes and two different endings, Rooms: The Unsolvable Puzzle will challenge the depths of your mind.